Spring time is almost here and brings rumbling thunder which is often a stressful time for many PON owners. Spring storms are even more stressful for PONS themselves! Fears and phobias in our beloved breed are more common than one might imagine, ranging from fear of loud noises and new places to fear of strange people and other dogs. Reactions vary from hiding to wrapping paws around owners,biting,etc. There are many different reasons for a fear response in a PON. It can be an innate response, meaning that it is genetically programmed into the PON's behavior, such as fear of a predator. If there is a lack of proper socialization to people and environment when the PON is a puppy, it may be fearful of unfamiliar situations when your PON is mature. The temperament of the individual PON may also play a role, something that is influenced mainly by genetics and upbringing. A PON can learn to fear certain situations, for example, meeting new people. If the stimulus produces an undesirable situation for the puppy and if the PON's response (such as biting) is successful in removing the stimulus, the puppy will learn to avoid such situations. Further, fear can be a combination of some or all of these factors, often leading to difficulty in treating fears. One of the largest contributing factors to a phobia is reinforcement over a period of time. When a puppy is frightened, the instinctive response is fight or flight. Running and hiding is one solution to blocking the frightful experience, but the other more dangerous alternative is fear aggression. If the puppy chooses to remove itself from the stimulus, and it is successful, then it has reinforced its fear of the stimulus. If aggressive behavior results in removal of the stimulus, such as an unfamiliar person, then the pup learns that this behavior is rewarding. .One of the most common fears, especially in canines, is a fear of loud noises. It can be all loud noises, or perhaps only something specific. Common stimuli include: thunder, trains, and loud appliances. Often, these are easy to recognize but difficult to control, and correction may require some creative techniques. Vacuum cleaners are included in this stimuli as many owners can testify. PONS that are not adequately socialized to new people when young may develop a fear when mature.. They may be afraid of unfamiliar people, especially if the new person is different in appearance. For example, a person with a beard or glasses may frighten a PON not accustomed to such accessories. PONS can also develop a fear response associated with an individual in which a traumatic example has occurred. 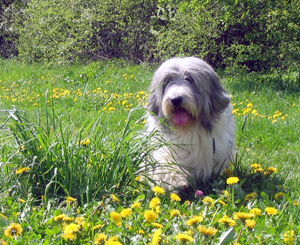 The classical example is the veterinarian who administers vaccines to the animal. However, an animal can associate fear with a person even if the individual is not the source of the trauma. For example, if a puppy stepped on something sharp and someone just happens to be within view at the time of the trauma, the dog may develop a fear of that person by association. A PON may also associate a place with a traumatic experience, such as a veterinary hospital. The main objective of treatment of a phobia is to teach your PON that the stimulus it is frightened of can be associated with something good, such as a reward. This is often easier said than done, requiring persistence and patience. The most important thing to keep in mind is that you must not reinforce fearful behavior by petting, or rewarding the animal. The approach to any type of fear is the same in principle. The first step to treatment is to identify what the stimulus is and when it occurs. When the trigger has been identified, attempt to avoid all encounters with this if possible. If your PON is afraid of thunderstorms, start your training at a time of year where they are less likely to occur, such as the winter. The next step is to desensitize the animal and teach relaxation in the presence of the stimulus. This must be done slowly and systematically. If the PON is fearful of unfamiliar people, ask a friend to help with training. Place your PON in a crate and ask your friend to enter the room but keep a great enough distance that the dog remains calm. Reward the PON for good behavior with food and affection. The unfamiliar person can attempt to desensitize the PON by throwing food from a distance, avoiding eye contact, and approaching sideways. Gradually, over the course of several training sessions, ask your friend to approach closer each time to a distance in which your PON can remain calm. Remember to only reward calm, relaxed behavior and not to reinforce inappropriate reactions. Your PON should slowly learn to associate the stimulus with good things, such as treats, resulting in a less fearful response.